If you have any questions about PC SpeedLane you cna learn all about it by clicking Product Tour up at the top of this page. You will also find answers to some of the most frequently asked questions below. Click any of the questions below to get the answer. We always guarantee great customer support for our amazing customers! Are there more ways to make my computer faster? One thing that can slow down computers is if they are too full of junk files. These can mean your computer has to look through more paces to find what it needs and it can use up valuable space for things you don't need. You can quickly and easily clear all of this off of your computer by using a Junk Remover. Can I change when SpeedLane shows alert messages and when it scans my PC? Of course! As a default, SpeedLane is set to show you messages and run scans regularly to keep your PC running great. If you want to change how often it scans just go to 'Settings' and then click the 'Schedule' tab. How do I activate the software? When you purchased your license for PC SpeedLane you were given a Username and Password at the time, and it should have also been sent to you in an email. Make sure the program you're trying to activate is the same one you bought, too. Since we have a few different applications, it is possible for people to try logging into the wrong program. If it's still not working, feel free to email our Customer Service team. Make sure you include the email address you used when you bought the program for faster assistance! How quickly will the customer service team get back to me? Every customer is important to us, so you will usually get an answer within 24 hours on business days. If you haven't heard from us and it has been longer than that check your email's Junk or Spam folders. To make things easier, let your email provider know that pcspeedlane.com is trusted and should never go to Spam. If you're not sure how to do it, contact your email provider and they should be able to give you instructions. How do I uninstall or reinstall PC SpeedLane? The first step to uninstall is to make certain the software is shut down by opening the System Tray in the bottom right corner of your screen, right-clicking the icon for the program you want to uninstall, and clicking on 'Exit'. You should see an alert from the software, but just click the 'X' to close it. Next up, open the Control Panel from your Start Menu. There, under Programs you can click Uninstall a program, click the program you want to uninstall, and then click 'Uninstall'. From here the Uninstaller will open and it will be obvious how to proceed. If you want to reinstall the program in order to get the newest version or because you are having problems, follow the steps above to uninstall, restart your PC, and then download the program again from our website (it will always have the latest version) and install it again. If you have a question we did not cover here or on the Support page, just send an email with your question to support@pcspeedlane.com and our amazing Customer Service team will respond quickly. 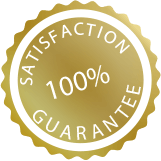 PC SpeedLane is also covered by a 60 Day Money Back Guarantee.